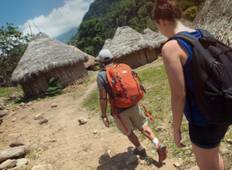 Find the most amazing jungle trekkings in Colombia. There are 12 tours to choose from, that range in length from 5 days up to 17 days. The most popular month for these trips is June. "It was a hard trek but worth it." "We had an amazing experience from beginning to end. 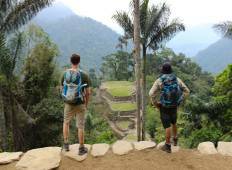 Daniel was terrific in Bogota,..."
"Lost City is my favorite Trek in South America and I have almost done them all. Definitely..."
"I really loved this tour and am confident giving it a 5, but also I think it's important..."